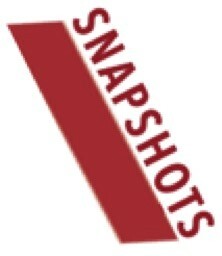 Snapshots are short online sessions covering a range of topics to help you use ICT across the curriculum. Join us every second Thursday in Terms 3 & 4 at 3:45 – 4:15pm. Facilitated by the DET Virtual Learning Team. FUSE and Global2 are a match made in heaven for publishing and sharing student made videos (or any videos for that matter). You can control who sees these videos – open to public, closed group or password protected space. Rachel Crellin and Sandy Phillips, Senior Policy Officers, Learning and Teaching Branch, DET. Sway makes it quick and easy for teachers and students to create and share their unique digital stories. The brilliance of Sway is in its simplicity and ease of use. Add your content, and Sway will bring it to life with interactive content. By the end of this session you will be able to create your own Sway presentations and teach your students to do the same. Presented by Troy Waller, Microsoft Learning Consultant. Troy is a qualified teacher with a strong interest in innovation for teaching and learning. He taught in K-12 classrooms for over 15 years with his more recent work being in primary schools. What is Google Apps for Education, how does it differ from Public Google and why should schools be using instead. How does existing school users utilise them. ITD have assembled an “Adoption Squad”, a team of technicians to directly support your school to adopt Google Apps or Office 365. Who are they?